The TRD Pro is the only 4Runner model with “TOYOTA” emblazoned on its grille. True off-road SUV adventuring belongs to Jeep and Land Rover, with GMC, Ford and Chevrolet also represented. Not to be overlooked is Toyota, which has decades of experience in delivering various Land Cruiser, Sequoia, and FJ models. 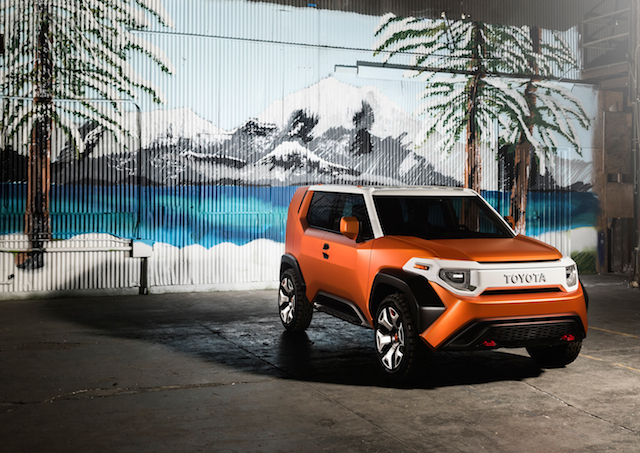 In more recent years we’ve seen the 4Runner, a midsize model based on the same architecture underpinning the immensely popular Toyota Tacoma pickup truck. The 4Runner stands unique as it is the only body-on-frame midsize SUV left that’s derived from a pickup. The Jeep Wrangler is its nearest competition, a renowned model that will soon share its architecture with the Jeep Gladiator pickup. 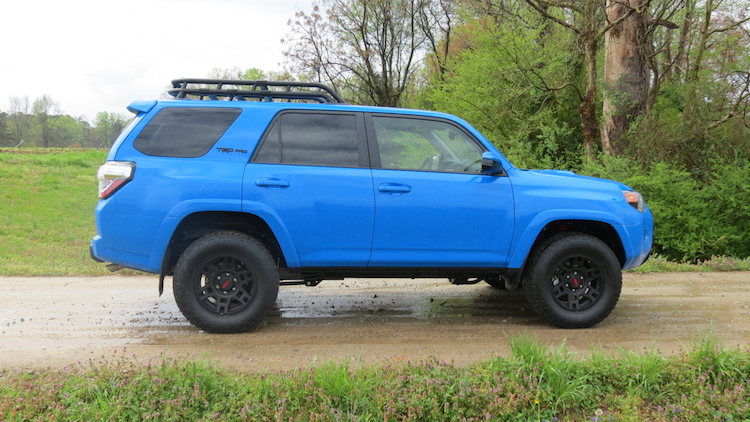 Toyota recently supplied me with a 2019 4Runner, which was the first time in five years I’ve had one to review. That’s too long for a guy who is a fan of this SUV. I must admit some bias here too as my wife drives a Toyota RAV4 and I’m eager to get her to move up to either a 4Runner or Tacoma. The 2019 Toyota 4Runner is offered in four grades: SR5 ($35,110), TRD Off-Road ($38,285), Limited ($43,425), and TRD Pro ($46,615). Add $1,095 for the destination fee. Toyota also offers three interim “premium” grades building on each of the first three trims. The SR5 and Limited models come with standard rear-wheel drive (4×2) and available four-wheel drive (4×4). The two TRD models are four-wheel-drive only. TRD stands for Toyota Racing Development, which is this manufacturer’s performance and racing brand. We’ll highlight the main TRD features as we break down this model. 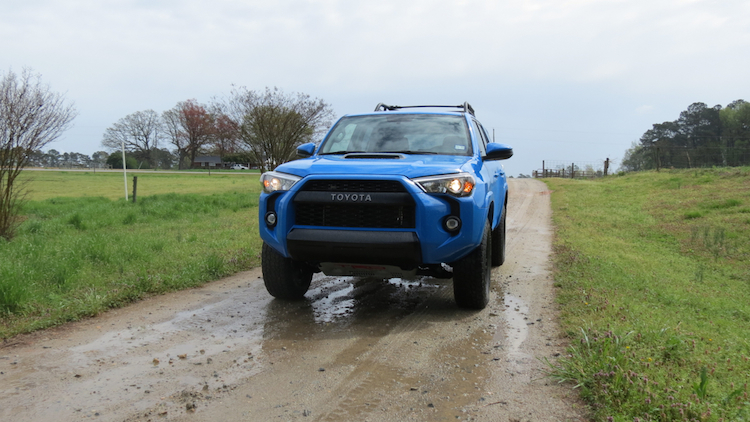 There are quite a few attributes of the Toyota 4Runner worthy of closer inspection. To that end, we’ll look at the highlights that define this SUV. 1. A true take on the traditional SUV. Most contemporary SUV models are not SUVs in the traditional sense. The traditional SUV features a body-on-frame design, one that’s usually based on an existing truck platform. Land Rover is an important exception as it employs unibody construction, the same as found in today’s car-based SUVs. However, the Land Rover, like the Jeep Grand Cherokee, features off-road durable suspensions that set them apart from the crossover pack. 2. One of two midsize Toyota utility vehicles. While Toyota is definitely in the SUV game with the 4Runner, this automaker hasn’t lost sight on the consumer who may prefer a crossover. Sharing dimensions that are nearly identical, the 4Runner and Highlander also offer as many as three rows. The 4Runner has standard seating for five with an available third-row seat for two more. The Highlander offers standard three-row seating with room for seven or eight. But the Highlander comes with standard front-wheel drive and available all-wheel drive and is closer to the Toyota Sienna minivan in design and usability. Importantly, the Highlander is designed for light-duty off-road pursuits only, such as for traversing a gravel road. 3. A stout engine and a mature transmission. Not only is the 4Runner a throwback model of sorts, but its powertrain has been around for quite some time. Indeed, the 4.0-liter V6 engine rolled out in 2004 and was paired with a four-speed automatic transmission, then to a five-speed the following year. 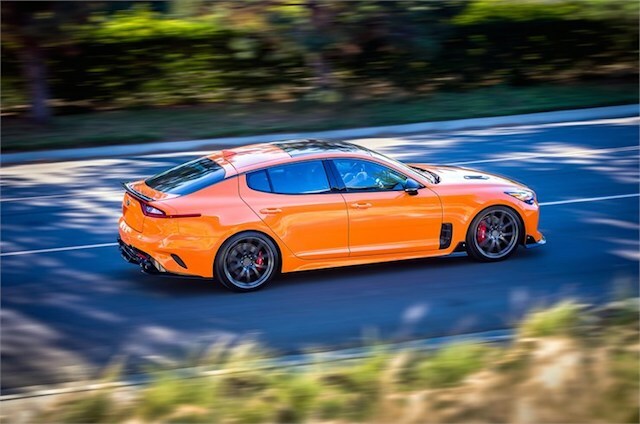 This engine makes 270 horsepower and 278 pound-feet of torque, numbers that are easily eclipsed by more modern and smaller engines. This model’s fuel economy registers in the upper teens, which isn’t good. But it does deliver an admirable 5,000-pound tow rating, which is in the same ballpark as competing crossovers. 4. Underbody protection at the ready. Toyota assumes you’ll knock the 4Runner about and that’s why every model comes with skid plates for the engine and front suspension as well as for the fuel tank. Every four-wheel-drive model adds a plate for the transfer case. You’ll also find front and rear mud flaps on all trims, except for the Limited. Available rigid running boards (automatic with the Limited) and a TRD-stamped aluminum front skid plate round out the optional features. A special TRD skid plates adorns this model. 5. Ground clearance is a priority. Toyota figures 4Runner owners will take this SUV off-roading and that’s why it features a laudable 9-inch ground clearance (9.6 inches with four-wheel drive). Its approach angle is 30 degrees (33 degrees with four-wheel drive), while its departure angle is 26 degrees. Toyota doesn’t publish this model’s breakover angle. The published numbers do trail the Jeep Wrangler Unlimited, but they’ll satisfy even the most avid off-road adventurist. 6. A straightforward interior with standard amenities. The 4Runner probably doesn’t win design awards, but at least its cabin is functional, clean, and uncluttered. The base model comes with cloth seats with imitation leather on most other trims. There are very few switches and knobs present, with the latter generally oversized. The center console is utilitarian, with the transmission and drive shifters located between the seats. A leather-wrapped tilt-and-telescopic steering column, available dual-zone climate control, and a power driver’s seat are just a few of the distinguishing features. 7. Some safety features present, but not many. Modern Toyota models come with a suite of safety features under the Toyota Safety Sense umbrella. TSS typically bundles automatic high beam, a pre-collision system with pedestrian detection, lane departure alert, and adaptive cruise control. But the 4Runner lacks these features. 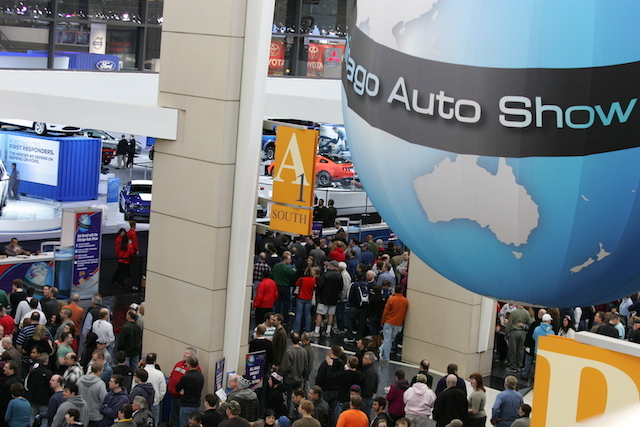 Instead, shoppers will find the usual contingent of airbags, traction and stability control, and brake assist. 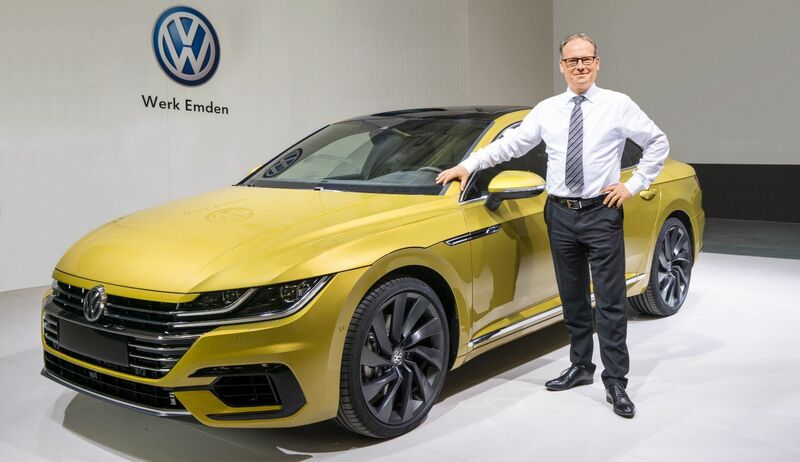 Likely, we’ll see the advanced features added when the next model arrives, perhaps as soon as 2021. 8. Laudable tech features at the ready. Despite its age and lack of advanced driver-assist features, the 4Runner does come with a decent level of technologies. 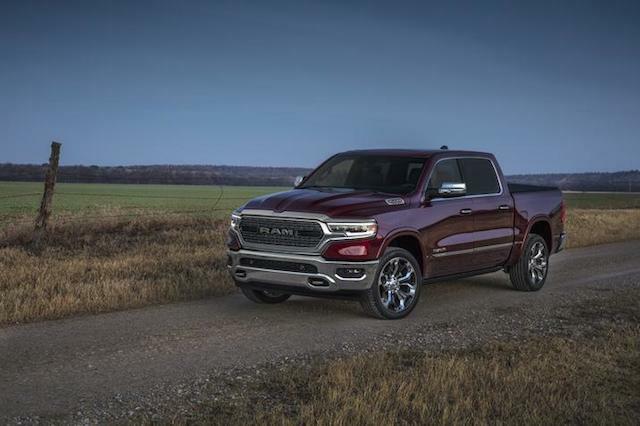 The base model has an 8-speaker sound system with a CD player, a 6.1-inch touchscreen, HD Radio, satellite radio, Siri Eyes Free, a USB port, and Bluetooth connectivity. It also ties in an app — Scout GPS link for navigation, although our personal experience reveals that it isn’t especially reliable. 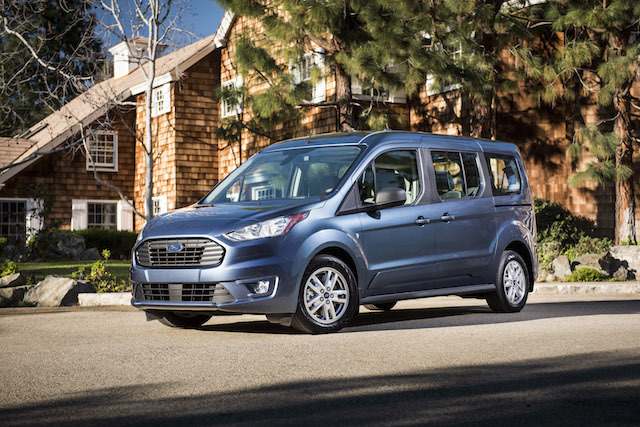 All models also come with a 120-volt power outlet in the cargo area. Upgrades include a navigation system and a 15-speaker sound system. 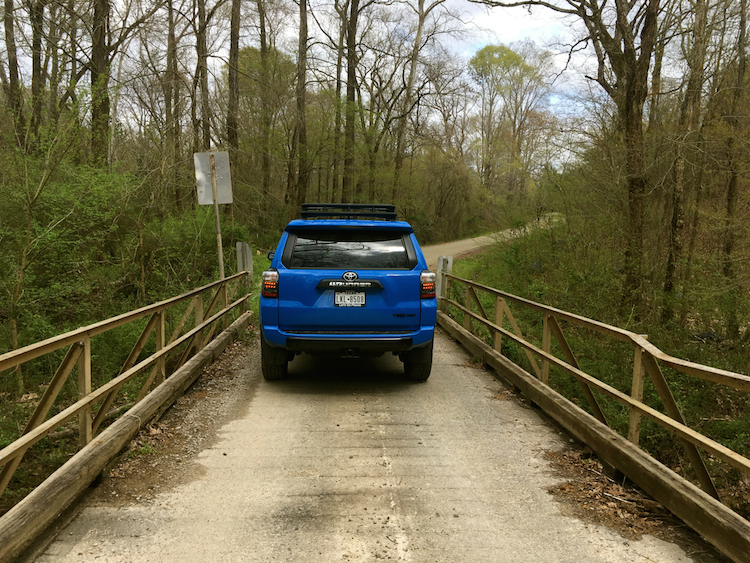 Central North Carolina has a surprising number of one-lane bridges. This one takes SR 1625 (Underwood Road) across a creek near the Governors Creek Mountain Bike Trail in Moore County. Highlights aside, what really brings out the best in the 4Runner is taking it where few other models dare to go. 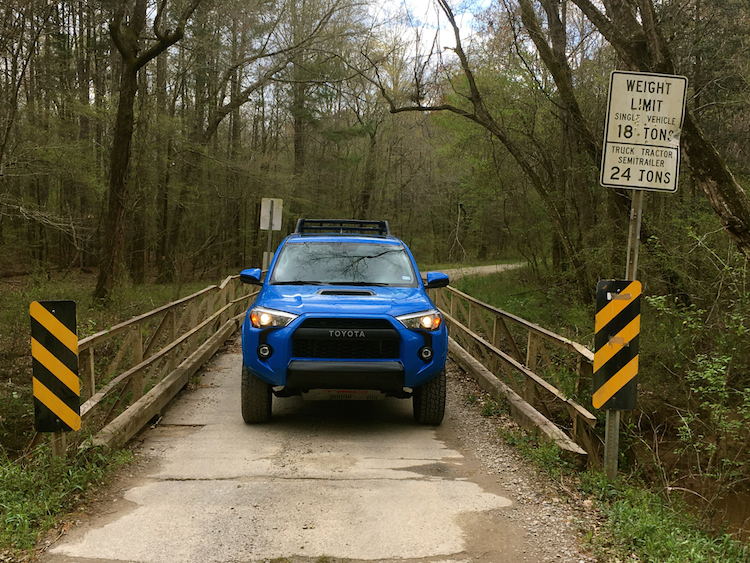 My test TRD Pro model was especially suited for the trail more taken, thanks to a number of upgrades included with this trim. These include 2.5-inch Fox internal bypass front and rear shocks, the latter fitted with a piggyback reservoir. This particular shock design improves ride, handling, traction, and comfort on the most challenging terrain. Other upgrades include TRD-tuned springs, a one-quarter-inch-thick TRD aluminum front skid plate, and Nitto Terra Grappler all-terrain tires set within matte black TRD alloy wheels. 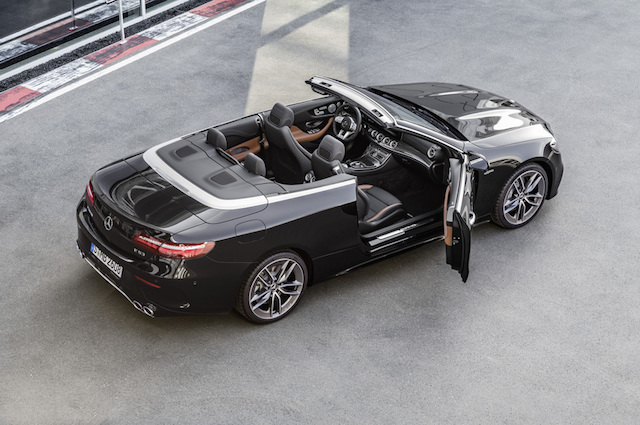 You’ll also find the expected badging, color-keyed accents and a special roof rack. 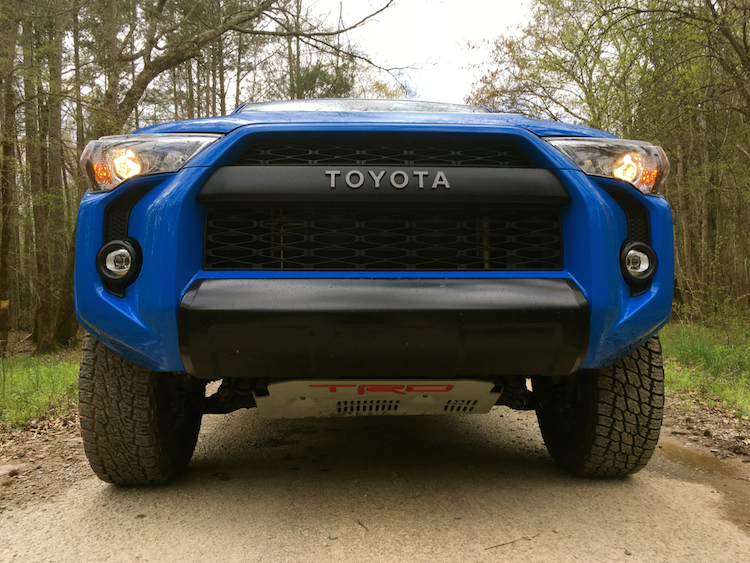 Rounding out the upgrades include a unique “TOYOTA” front grille and LED fog lights. One of the challenges of four-wheeling in my area is access — the usual right-of-ways I’ve played on over the past few years have since been blocked, which means that they’re “on” to us. The best workaround is simply to travel further out and that’s what I did. Happily, there are enough unfinished roads, desolate terrain, and interesting one-lane bridges that just beg using. 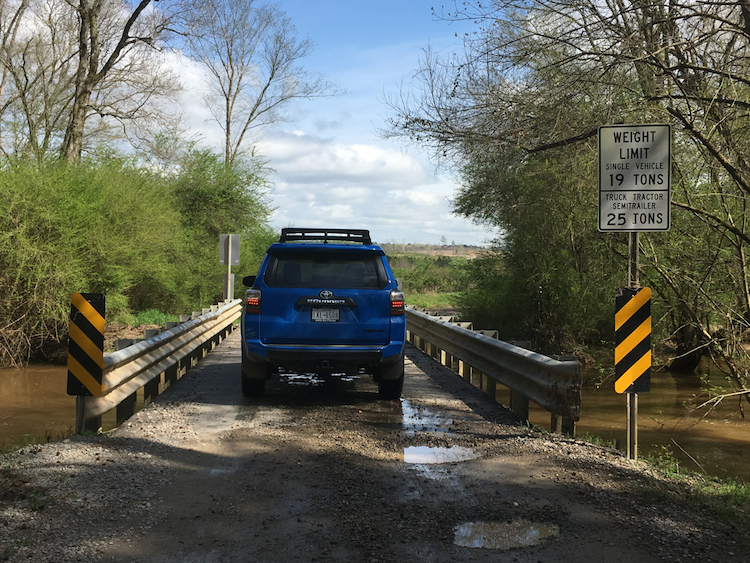 Moore and Chatham counties are my favorite places to go and that’s where I put the 4Runner to the test. Clay soil dominates, although a bit further south you’ll roll into the Sandhills, which changes the terrain significantly. As for clay, its gooey consistency presents several challenges. First, it is often impossible to gauge how deep the goo goes before entering any morass. What may seem like an easy pass over can just as easily bog you down. But there is little to fear here as the 4Runner’s 4Lo setting supplies the traction required to move out of the mess. Second, clay is simply a mess — not only does it splatter everywhere, but it tends to coat everything underneath. Then it hardens. You might escape the quag unscathed, but later discover the undercarriage drenched in muck. Once hardened, have fun removing it. Even after navigation miles of trodden clay roads, I hadn’t even switched to four-wheel drive. Once I spotted wet conditions near a tributary that had overrun its banks, I slowed down, shifted the transmission into neutral and engaged 4Hi. The 4Runner sailed though that mess as the wheels retained their sure grip. Of course, the key test to any four-wheel-drive vehicle is how it performs or articulates on steep slopes, rocks, and the like. This utility vehicle’s approach, break-over, and departure angles are robust. With a certain amount of care and agility, there aren’t many places you’ll need to avoid. Personally, I might leave the log and crag climbing to the experts, but ditches, sharp inclines, and uneven terrain are not a worry. Just don’t opt for the available running boards ($345) if you’re a hard-core off-roader. 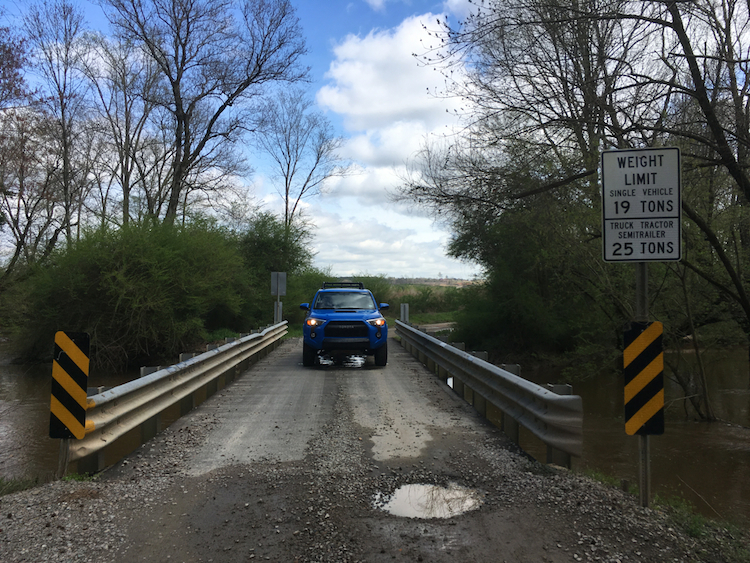 Access to the second of two one-lane bridges was recently blocked by floodwaters. Even after the waters receded, there were ample puddles present. The 4Runner cruised through each one without incident. Start your search with any four-wheel-drive version and go from there. 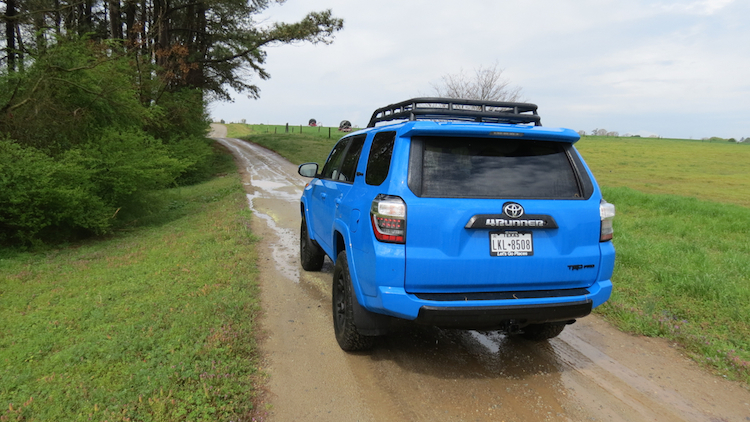 We don’t see any reason to stick with two-wheel drive — after all, this is the “four” runner. 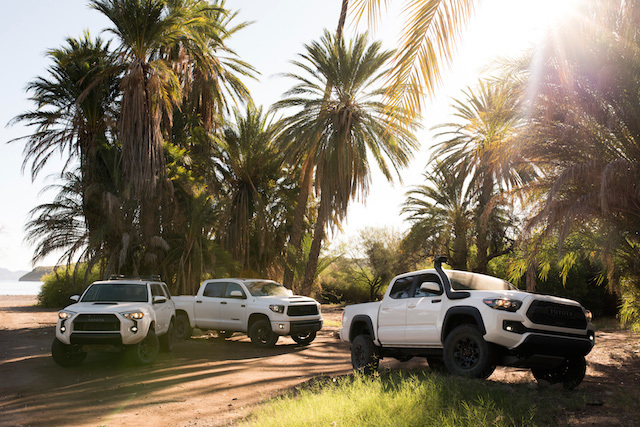 Serious off-road fans will gravitate to one of the two TRD models. Our test TRD Pro simply does it best with its excellent shocks and a sport-tuned suspension. The upgraded interior is a plus, but if you’re looking to keep your final cost to around $40,000, there is no shame in choosing the standard TRD Pro with the available Kinetic Dynamic Suspension System (KDSS). This package also adds the top-of-the-line Entune system with navigation and the App Suite. Your final cost does top $40K before taxes, but with some deft negotiation on your part, a lower price should be attainable.